There are promising signs that regardless of the outcome of the upcoming NSW Election, effective alcohol policy reform will remain a top priority for the NSW Government. A new report has found strong support among all major parties for evidence-based measures to reduce alcohol harms, with NSW again distinguishing itself among its state and territory counterparts. In a clear win for the State, both the Liberal National Coalition and the Labor Party fully supported maintaining the ban on political donations from the alcohol industry, and committed funding for a dedicated Fetal Alcohol Spectrum Disorder (FASD) clinic to be established at the Children’s Hospital at Westmead in Sydney. In January the NSW and ACT Alcohol Policy Alliance (NAAPA) wrote to the six major parties and two independents contesting the 2015 NSW state election, requesting responses to 15 key alcohol policy questions. NAAPA received a joint response from the Liberal National Coalition and responses from Labor, the Greens, the Christian Democratic Party and independent Alex Greenwich MP; all of whom conveyed their support, either in full or partially, for around half of the proposed policies. 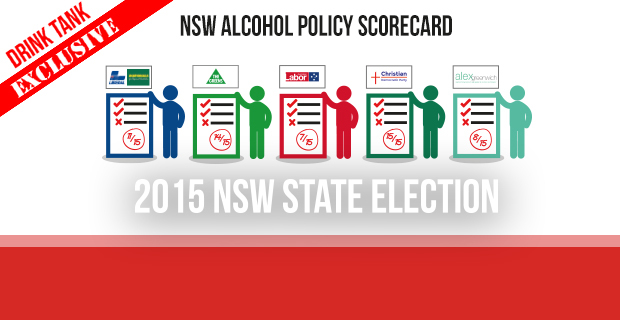 The Christian Democratic Party received top marks for the scorecard (15/15) indicating full support for all measures recommended by NAAPA to prevent alcohol harms in NSW, closely followed by the Greens (14/15). The Liberal National Coalition and Labor each supported three measures in full. The Coalition partially supported a further eight policies in part, while Labor indicated partial support for four measures, receiving final scores of 11/15 and 7/15 respectively. Less than a week out from the state election, NAAPA is particularly pleased with the responses from the two major parties in NSW, providing voters with an assurance that their future government will take a sensible approach to alcohol harm prevention. 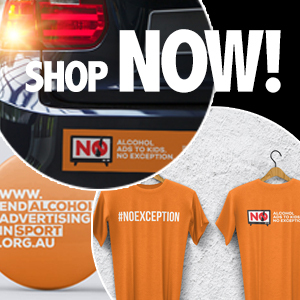 The Coalition and Labor both reaffirmed that they have no plans to change the current ban on political donations which prevents politicians from being unduly influenced by vested interests in the liquor, gambling and tobacco industries. They were also in agreement that greater support for children and families living with FASD is needed. Labor has committed million to a FASD diagnostic clinic at Westmead; and the Coalition followed suit last week with an announcement that the Baird Government would invest million into a new Centre for the Prevention of Harm to Children and Adolescents from Drugs and Alcohol if re-elected. It is extremely heartening to see such strong bipartisan support for evidence-based alcohol policy from both major parties. The rest of the country could learn much from NSW on tackling alcohol harms. We are now seeing in NSW a greater awareness and willingness to embrace evidence-based alcohol policy and address alcohol harms more broadly, and I applaud the parties in NSW for the leadership they are showing on this issue.